Source: Traditional; published in English Dance & Song, November December 1939, Volume IV, Number 1. 32 bars. Some bands play medleys mixing jigs and reels. The initial EFDSS dance focus was on Playford and Morris. Eventually people started researching what people were actually dancing in the villages, without any influence from the EFDSS. Many of these were quadrilles and other old dances which had become popular in particular areas and evolved into local dances; that may have been the origin of this dance. 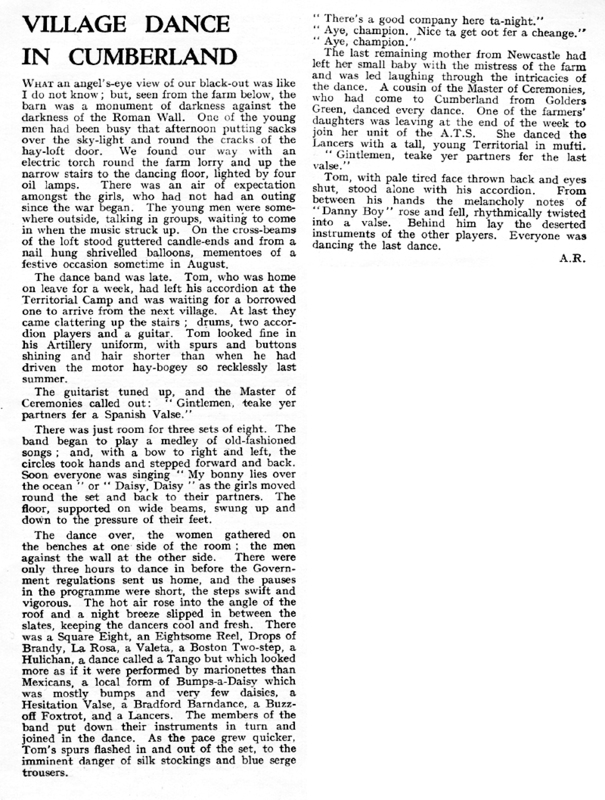 World War II started on September 1 1939; this issue was published just after that and the EFDSS was uncertain of its future, but in the article below you can see that "Cumberland Square Eight is all the rage at the moment" and was published as the first in a planned series of traditional dances. Below that you can see an article from six months later describing a village dance in Cumberland, and sure enough the Square Eight was danced. 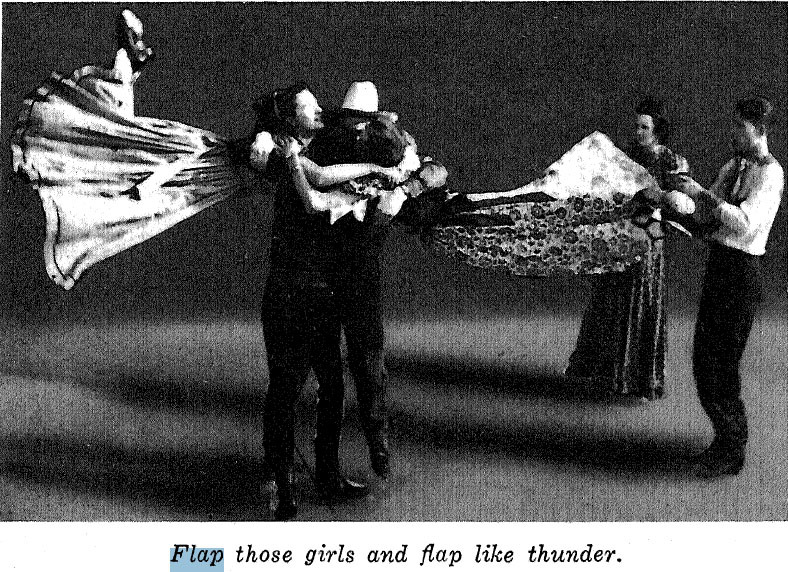 This seems to be one of the dances that has remained unchanged for the last 100 years, The description in the Community Dance Manual is exactly the same, and that is exactly how I first learnt it in the 1960s, and still call it today. 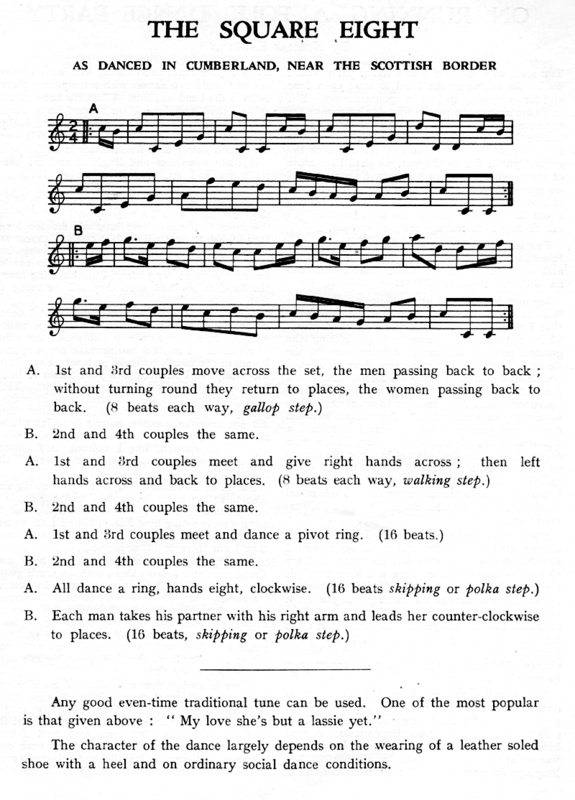 I wanted the fun of Cumberland Square Eight in a contra dance, so I wrote Cumberland Contra.